Disclaimer: The LZ A6 sent to us is a sample in exchange for our honest opinion. We thank the teams at LZ and Penon for giving us this opportunity. 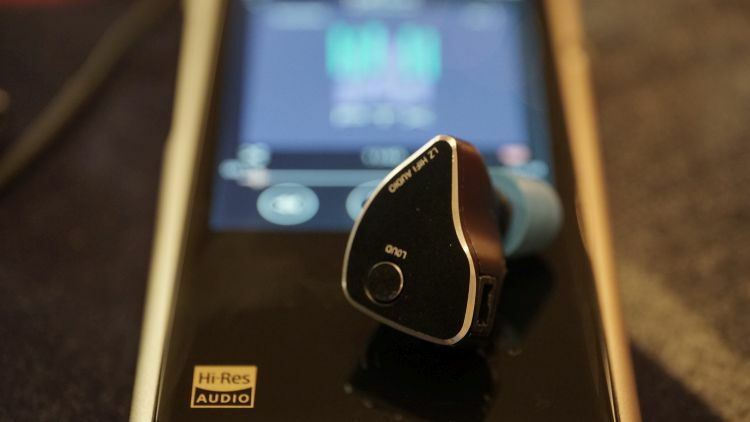 To read more about qdc products we reviewed on Headfonics click here. I am swiftly becoming a massive fan of LZ. 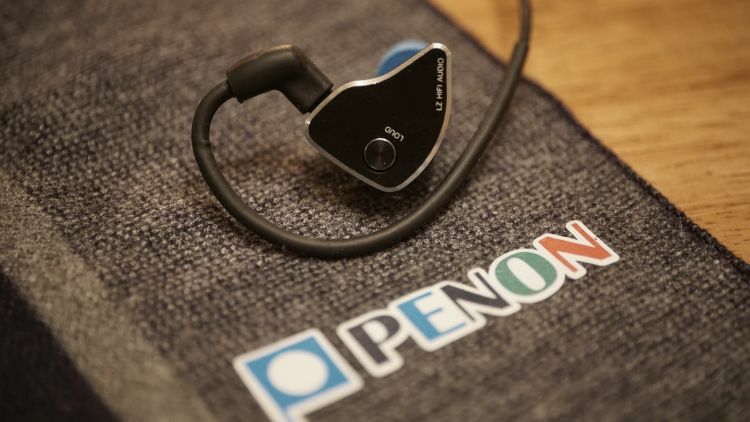 To date, I’ve enjoyed every model they’ve sent me and I need to thank Penon Audio and everyone else who has helped me with these samples. Also, a big thank you to them for the amazing scarf Christmas gift. I absolutely love it. What a nice thing you guys did for me there, I appreciate it. I’ve been to a few audio meets since I have received it and I have been asked about the scarf a few times! It is beautiful and super high-quality material. But…this is a review about the $310 LZ A6 IEM and not the scarf, so let’s try to get right into the review itself as soon as possible. There is a massive amount of information to cover. The box is standard, as expected. Adorning orange tint on the inside. It looks very slick and modern, that is for sure. The carrying case shares the same hue and feel of high quality. Oddly, the IEM itself is black and doesn’t share any of the highlights of the box, it would have been awesome to have a red or orange outline, something Ferrari-like, hotrod car even. But, that is okay. I can forgive it for lacking that to match the box. There are a bunch of nozzle types included along with some paperwork and those will get their own section of detailing in just a bit. For now, the box and accessories are basic. The cable length is actually portable. Yay! The LZ A6 is fashioned from CNC’ed aluminum and feels rock, no, metal gear solid in the hand. Snake? Snakkeeeeee!!!! I don’t have many other IEM’s of this style that feel this dense and weighted. I enjoy this a lot. It feels extremely high quality. I don’t want a thin exterior feel, I want a high grade, ultra-dense, and heavy IEM if they are going to be looped over my ear. There won’t be a heavy feel when wearing it, similar to the older Sony EX1000, this LZ A6 is going to score extremely high on the build window. 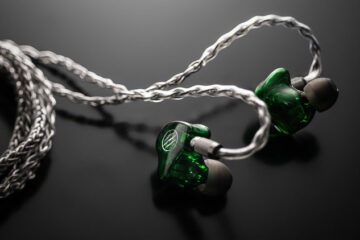 The LZ A6 has a loudness button on each IEM housing and the button itself is solid metal. It has a satisfying clink to it and feels very tactile. This is the type of thing I want to see in IEM’s. There is no excuse anymore for plastic or a thin aluminum offering. We need metal like this from here on. 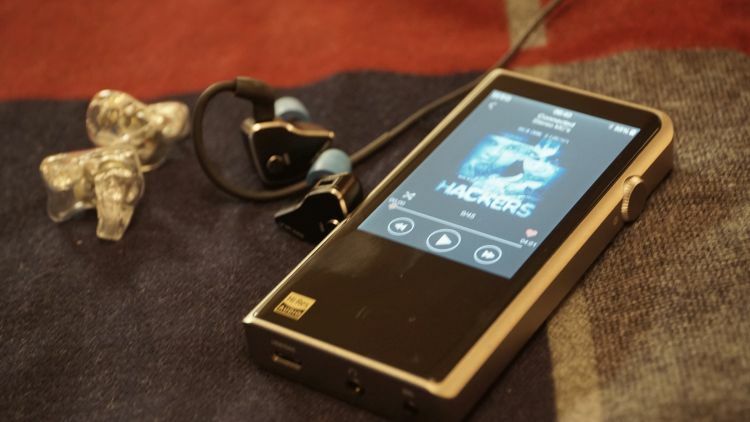 Let this A6 teach a lesson to the other IEM makers at the moment. Currently, they are leading the pack in the budget to mid-tier build quality and this company has proven they listen to reviewers and customers on what they want. Look back at their history from start to now and you can see continually striving to improve each new model with something new and useful. LZ earns my respect. For roughly $300? I’ve seen plastic shells in excellent sounding IEMs. Yet they’ve gone the full metal route. The cable is also very good, I’ve enjoyed the feel and style of the cable so much that I’ve dropped my stock Empire Ears Nemesis cable and dropped in the LZ A6 cable just for giggles and enjoyment. The cable has low microphonics and it hangs on my ear better than the stock Nemesis cable. I swap between the two IEM’s often (more on this later too) and I could not be happier with the supplied stock cable. I love the black appeal of it and the texture is not sticky rubber, it doesn’t cling and catch on my clothing and smoothly glides when I am moving around. From top to bottom, the build is fantastic and easily among the best I’ve ever witnessed for a $300 or so IEM. Damned fine job here LZ. Damned fine. This part is extremely difficult to conduct as a reviewer, due to the fact that LZ includes multiple types of tip nozzles that alter the sound traits of the product. Where on Earth do I begin and how do I detain each one without making this review a literal textbook or novel? Well, I need to be precise than to avoid stressfully long reviews, because I’ve edited this review maybe 5 times to cut it down to where it is currently. 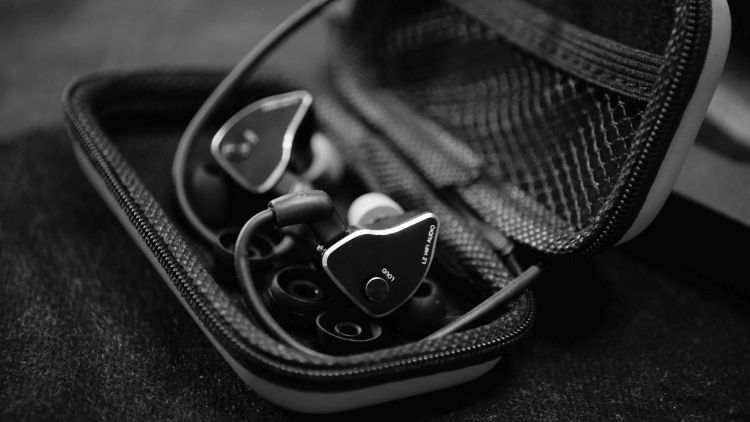 I’ve opted to be extremely basic with what I feel about each tip and I need to format this review differently than most IEM reviews for the Bass, Mid and Treble areas of the review. It seems the nozzle tips are swap friendly with the A5 model as well. You have options. A lot of them. For $300, you can physically tailor the sound as you please and get varying types of tonality and bass/treble levels depending on which nozzle you prefer. Subjectively, I am a musical enthusiast. That means I enjoy exaggeration, bloom, excessive bass and sparkled treble. I do not enjoy neutrality or a flat sound. However, I do not judge the product with a final scoring based on my subjective preferences. I judge based on sound fidelity. How clear, how dynamic, how responsive and so on. My personal tastes are only ever mentioned because I know there are many audiophiles like me who enjoy a very exaggerated sound and who would want to use the exaggerated and boosted nozzles vs the neutral offerings. For this price, how fantastic is it that you can tailor the sound, at least a fair amount, without the need for electronic EQ? Some audio sources simply don’t offer a good onboard EQ system for you to play with. So here steps in LZ with a great nozzle selection to help customize the sound to your desires. From a consumer standpoint, matchability is nearly a 9.5/10 for me because it offers so many dynamic styles of tonality and each tip sounds very different. 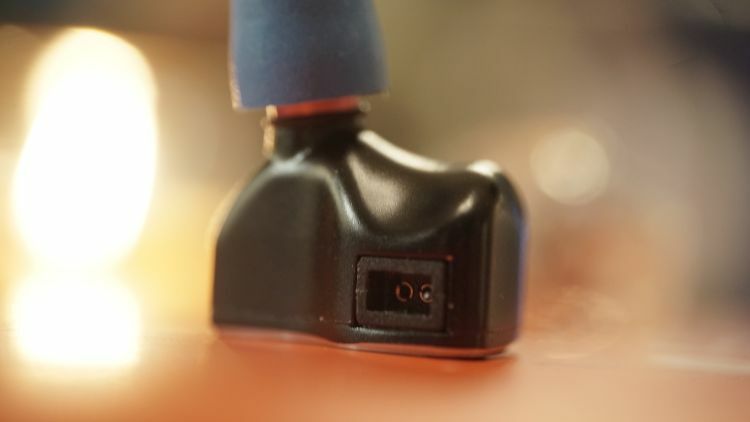 On each IEM housing, there is a little button that can be depressed. What is it for? Well, it is supposed to be a loudness booster. But, don’t be alarmed, it is very minor. At normal listening volume, it is hardly an overall boost. However, what it affects most is bass, without a doubt. Once pressed, the bass tightness is elevated to audible levels and it feels like the difference between a good sealing IEM and a great sealing fit IEM. I always keep loudness active. Switching back makes the experience feel a little more aired out but also lacking that bass depth potential. The buttons themselves also have not adhered physically to the IEM shell in a manner I would call “sturdy”. That means they jiggle a little, not too bad though. But, there is some movement there when you play with it. Do you like bass boosted sound? Use foam ear tips because the 4 balanced armatures, one dynamic and one ceramic tweeter collective sound coming at you plays well with exceptionally good fit and seal that only foamies can offer. If you are a bass head, pink is your friend. If not and you like neutrality, Silver probably is your go to. For very thin bass, opt for Light Blue. Overall fidelity is just fine for the price throughout the entire spectrum. The set requires bass boosting via electronic and software on your source to achieve bass head levels of bass. And yes, you can get it without terrifyingly bad or muddy sound. For $300, what is there is very good in purity. It can dig very good, but not with just the nozzle selected for bass boost. You are absolutely required to use the loudness button. So…that means bass nozzle + loudness boost active + EQ via source = bass head experience. If not, skip this IEM if you are a bass head who needs a lot of bass and does not have a good source to provide it. You won’t get it with just the IEM by itself. Bass nozzles – Looming between “meh” quantity and low-end of moderate levels of bass quantity, very nice bass purity and good texture. It doesn’t feel flat or uninspired, thankfully. However, for “bass nozzles” they still feel lacking bass to me. Is that because I’m crazy? Or, that I have reference points for what actual bass heads know to be basshead products? 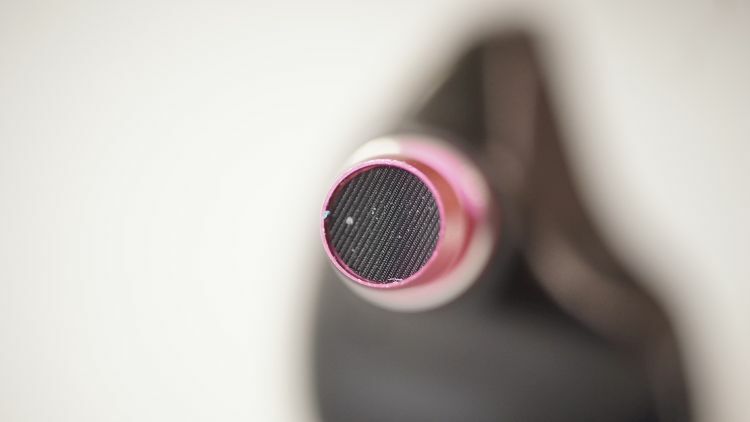 Vocal nozzle – A severe downgrade in bass depth potential, but still plenty clean. Nothing changed in the way of purity factor, but again, bass depth falls off fast. Treble nozzles – Well, that is interesting. The treble and bass felt more boosted here than the midrange nozzles. I wonder if that was a conscious choice to try to negate severe, excessive drop off of bass quantity. AKG had this problem with a lot of their IEMs that had nozzle selections for the treble end that simply cut out the bass nearly by 50% or more. From a vocalist mindset, the LZ A6 is brilliant. I really enjoy it. I do not own another midrange IEM outside of the Flare Audio Pro that comes close to what I would consider a custom IEM sound field. And certainly, this LZ does a fantastic job throughout all the nozzle types outside of the treble boosters. Skip them if you like vocals, because they sound overly thin in the midrange and boost the bass and upper end a bit too much with the treble nozzles installed. Vocalists can use the center space or the bass booster selections and enjoy just fine. Just make sure to never, ever keep Loudness off. They need to be depressed for vocalists or else the entire spectrum goes very thin in comparison to the Loudness active alternative. Vocalist fidelity factor is sublime for the $300 tier. I enjoy this very much. It is lively. Vivid. Engaging and fun. If you have a fun sounding portable player, such as the Colorfly U8 or maybe an older gen Cowon that has a very warm tonality with a lot of heft to it, this is a great choice for you. It isn’t so great for neutral enthusiasts even with the midrange centered nozzles, as I felt them to be unbalanced in the way of bass and treble offerings. Not too badly though. You can certainly enjoy it and try to EQ if you need to. But, beyond that, raw fidelity throughout is excellent. Easily one of the best I’ve heard. The best quality offered is with low volume usage. Listening at lower than usual dB levels is probably THE BEST I’ve ever heard in a midtier IEM. I do not need a high-level listening experience, I don’t need amplification and I don’t need medium or high gain on my Shanling M5s to enjoy. They sound fantastic at low listening levels. This is a godsend for me as a reviewer. I can save years of hearing as I get older, I am sure. Safe listening. At long last, great quality and substance at low dB? Yes,please! Ok, so there was a downside to the enjoyment. Even with the bass boosting nozzles the treble can get hot at times and too much for me. I am EQ’ing way down on my M5s music player, as in like -7dB on the majority of the top end EQ slots on my software EQ. Ouch. I can’t personally use the vocal or the treble nozzles for long, there is something going on about 8khz IMO. For some reason I am sensitive to 8khz -12khz and I can spot it in any product that has some “hotness” in that frequency range. I don’t have a measurement system, I’m not that type of reviewer. I do care when it is audible to me though. Now, this is not a negative thing. I can EQ it right out on my music player which, thank the audio deities again, has direct control over 8khz. I drop down and my ears feel nice again. It has been years since I’ve felt that in an IEM. I feel it in over ears often. And this is not a fault of the product, I am looking at 3rd party measurements and I don’t see massive problems there that would warrant issues or negative statements. 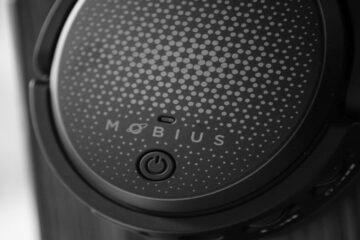 So, this is just a highly engaging treble headphone with a lot of energy. Simple as that. If you are sensitive to treble energy products, you might want to take care with this one and make sure you have a great EQ in your software. As for fidelity, it is good. I’m not going to write home about it, but I’ve heard better in some other products recently in this price range. Certainly not lacking. It is just that I keep mentioning Flare’s Pro and I’d like to stop that and give some other IEM makers a shot at making exceptionally great treble response experiences and I’ve yet to find more than one or two over the years. 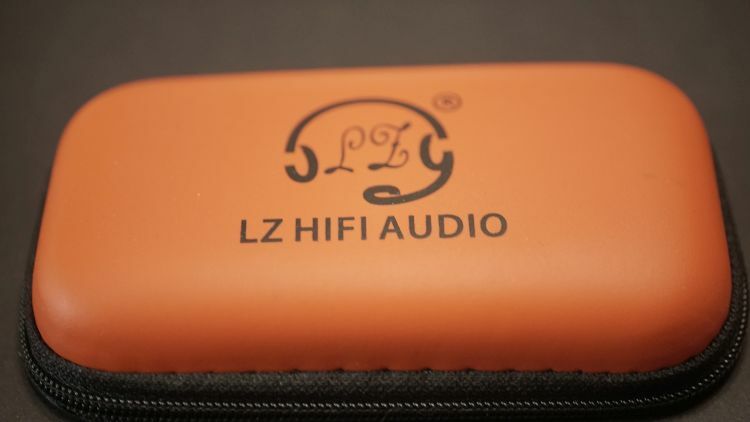 The last good one was the Hidizs 3U and it certainly didn’t sound as good as this LZ A6. Good fidelity can still be there and in top tier form, but still lack interesting texture, style and, substance and that sadly is the case here. What is there, is in raw form, and very good. However, it lacks something of its own. A soul. What is offered is basic and beautiful in terms of quality. Substance factor and anything interesting in terms of sparkle and texturing is absent to my ear. And that might be a good thing because the treble energy is on the high end in this model. Gotcha. Remember when I said this IEM is great with low dB level usage? I’d like you to check out the old Street Fighter 2 animated movie OST. A track called ‘Ryu’s Flashback’. A mystical sounding track that is very relaxing with some bells and interesting texturing and layering going on in the background. This track played at normal to high volume and again at low volume feels like two completely different headphones used. At low volume, as again with a track from the older Fright Night soundtrack titled ‘Give It Up’ (classic 80’s OST for the win!) where some synths are tapped and strummed with a nice soft high hat experience in the drums. The experience is just lovely beyond words. It is relaxing and sparkly. How?! How can that be sparkled and glistening in the treble experience with low volume? Well, it is that treble energy punching through at low volume. And at high volume, it gets blurred out and lost to the brightness factor. 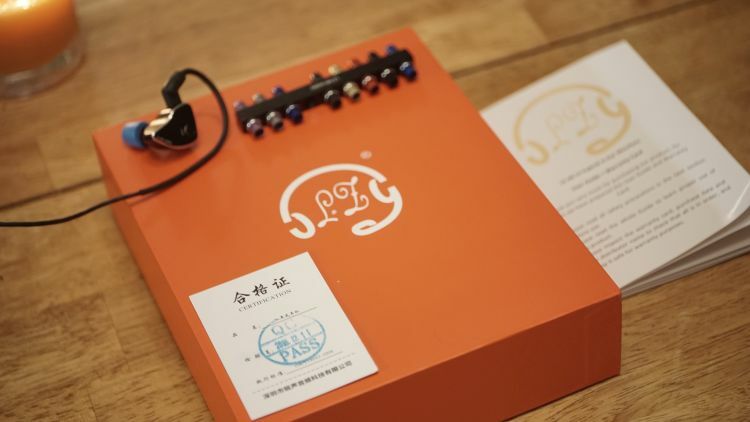 This happens now and then in treble happy headphones from AKG and other sets from Focal, or really anything known for happy treble experiences overall. Somewhere, there is a hot zone. And 8-12khz for me is my sparkly zone and sadly my owie zone. So to have it punch through nicely and audibly at low volume feels so good. It doesn’t hurt or annoy me at lower levels and none of the detail is lost. The LZ A6 projects forward imaging very well. The reach out into the cave feel is very good, however, left to right staging is just good. It is well above average, but not offering a titan imaging experience for the most part. What is there is more than adequate and you won’t feel closed in. But, they could have done better and you know what? At this point, I am going to toss LZ under the bus. But, not in a negative way. They’ve impressed the hell out of me so far and I am placing them in the highest regard right now and expecting the very, very best because I know they are capable of it. Staging is just good all around in terms of physical values. The Depth of Field factor being the best overall aspect of it, by far. Realism and realistically formed density factor are also pretty good for the price. It isn’t that far off from some of my lower end customs from years ago. However and again, pales compares to the Flare Pro from last year. For $300 though, you won’t see me complain. The set places well in each imaging area and separation values. The airplay is also nice and doesn’t lack at all. I wouldn’t call it aired out though, but that feeling does improve with Loudness disabled. Holy smokes. This L6 is excellent overall. It has excellent build and the matchability factor is near perfect. It responds nicely to EQ via software and comes with some hardware to help that too. The bass is very clean and has a good impact without ever being harsh. The treble factor can get too bright at times though, so be careful. EQ it out if you need it and stay off the treble nozzles and you will be fine. Otherwise, if you want a great sound at lower listening dB, this is your ticket out. LZ did a great job here at overall fidelity at $300 is in the big leagues in terms of price to performance ratio. Only a few other sets outclass it that I’ve come across and none of them came with customization options in the way of nozzle selection. This is a keeper. Probably one of the best all-around midtier IEM’s I’ve come across. I do not recommend it for neutral preferences. This is for those who want just a little exaggeration here or there, or a lot more if you push it via software EQ. Although, that doesn’t mean neutral enthusiasts cannot enjoy it. You certainly can. Just make sure you have a great portable EQ system and you can get a greatly customized tonality out of it. The LZ A6 is a bit of a chameleon in that regard.